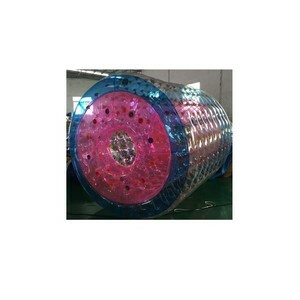 5 YRS Guangzhou Bouncia Inflatables Ltd.
2 YRS Guangzhou Joyshine Amusement Equipment Co., Ltd. Accessories Blowers, bungee rope, connecting rope, anchor bag, Anchor rings, Handles, Inflatable valve, Relief valve, life jacket, boat and ticket booth tent. Warranty 3 years Delivery Time 15-20working days Certificate CE, EN15649, SGS European standard Usage Widely applied in Sea,Lake,Aqua parks,water pools,some rental or relaxation centers. (Heat welding by High temp with machine. 4 YRS Guangzhou Bouncia Inflatables Ltd.
For anchor ring, we use 316 stainless steel material which last longer than other metal in water. All our parts like handles, anchor rings are welded instead of glue, it&rsquo;s not easy to peel off. For more adult inflatable water parks, please click the follwing pictures. 2 YRS Wenzhou Linxin Amusement Equipment Co., Ltd.
1 YRS Yantai Media International Trading Co., Ltd.
3.The quality of our products attained the Europe standards alredy and all of them got the CE Certificate. 8.One of 10 top Chinese credit enterprises with product railiable and satisfactory quality. and we can make design according to your requirements,i will try my best to help you . 2 YRS Guangdong Jiananmeidi Amusement Equipment Co., Ltd. So don't hesitate to choose us , the Alibaba Group trust us 2.Professional and Safety , we have professional engineer team , we can customize and make the special design according to your site . 4. Top Quality and Reasonable Price: We maybe not the cheapest price in China , but we believe that the quality is our culture , quality is our soul. 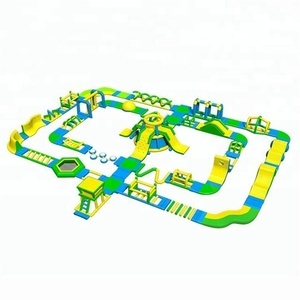 6.17 Years Experience: since 2001 , 17 years rich experience in manufacturing and designing fiberglass big water park slides , water park equipment and kids playground toys. 5 YRS Guangzhou Good Luck Inflatables Co., Ltd.
Our company has the professional designers and workers with more than 13 years experience in this area. Our aim is to produce the inflatable products with the best quality and reasonable price, along with the best after-sales service. 2. Can we change the size and color based on the original9 -- The size and color can be changed according to your requirement. 7 YRS Yixing Prominent Fiberglass Co., Ltd.
Our technology: We introduced advanced fibreglass manufacturing technique and materials formulation from New Zealand. Our services: We could design the water park, constructing the water park, producing and exporting the water park equipments. Our Customers: America, Canada, Brazil, the UK, Russia, Ukraine, Japan, Korea, the Philippines, etc. 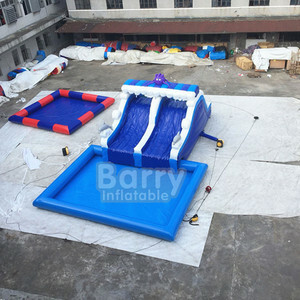 3 YRS Shantou Pocssi Plastic Co., Ltd.
13 YRS Zhengzhou Alliance Amusement Equipment Co., Ltd.
4 YRS Guangzhou Haoyi Inflatable Co., Ltd.
3 YRS Guangzhou Bostyle Amusement Equipment Co., Ltd.
Alibaba.com offers 9,033 water games equipment products. About 7% of these are other amusement park products, 6% are playground, and 1% are other sports & entertainment products. 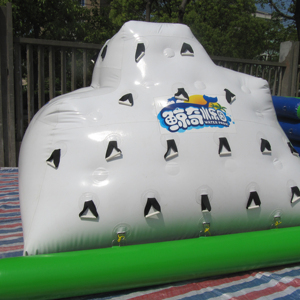 A wide variety of water games equipment options are available to you, such as free samples, paid samples. There are 9,033 water games equipment suppliers, mainly located in Asia. 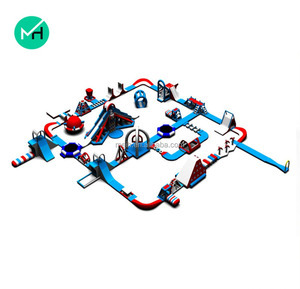 The top supplying country is China (Mainland), which supply 100% of water games equipment respectively. 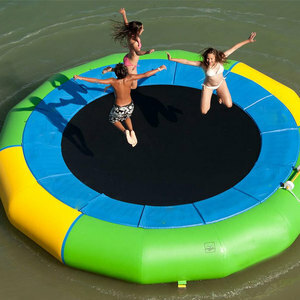 Water games equipment products are most popular in North America, Domestic Market, and Western Europe. You can ensure product safety by selecting from certified suppliers, including 1,550 with ISO9001, 1,419 with Other, and 660 with OHSAS18001 certification.